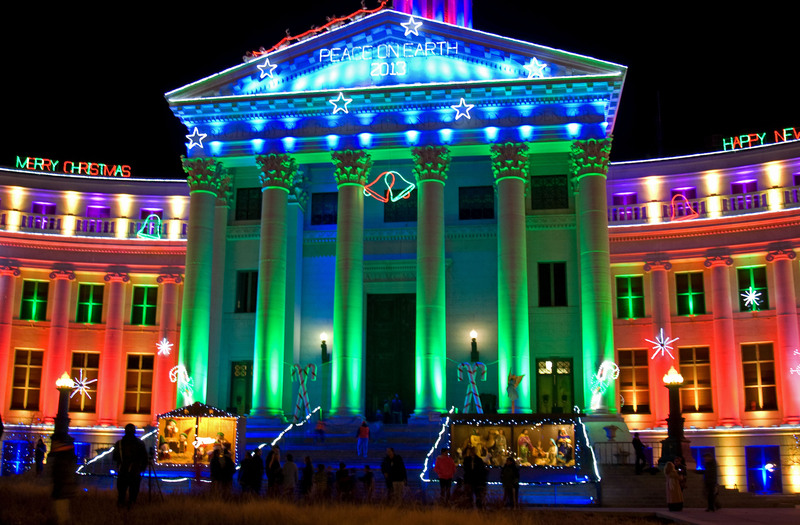 This entry was posted in Holidays and tagged Civic Center, Denver, lights, Merry Christmas on December 25, 2014 by heavenlyraindrops. Merry Christmas to you and your all family. May this Christmas full with the light of Joy upon you. Please send a special Christmas kiss and hugs to mommy 🙂 Have a wonderful and blessed holiday. Thanks, Karina. To you, Kevin and Andrew- I wish the same! I pray the same for you, Zoey! Hi Sue, it’s so good to see you back to blogging. I hope you’re doing well. My prayers will be with you and your family. May you all have a Merry Christmas and A Happy New Year!<3 Hugs your way! Thank you. I pray the same for you. Merry Christmas! Yesterday was a wonderful day, and I am enjoying the quiet of the late morning to write. Wishing you a wonderful Christmas weekend and a blessed 2015! I hope you and yours had a very Merry Christmas, Sue. I’m a bit late for Merry Christmas Sue, but have a Blessed and joyful New Year! What a thrill to come upon your post and photo as I searched for Denver Civic Center Christmas Nativity. I grew up in Denver and have such precious memories of oohing and ahhing as our family drove by the Civic Center in the 1960s. It’s a miracle that there is a nativity scene! Thank you so much, and God bless you!